Book Title: Kuntento ka na ba sa KAPERAHAN mo? I bought this book when I went to National Bookstore last April 2013. 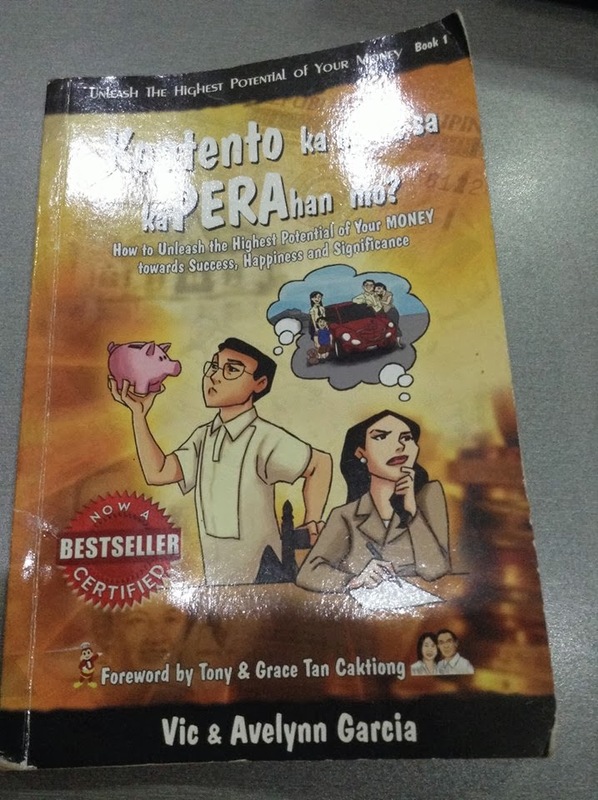 Ever since I started hosting for events at http://eventsbyizza.sulit.com.ph/ I became more aware about financial education. I know that books are good investments since knowledge is power. I love the fact that the price of this book is budget-friendly. For only 120pesos I get the chance to own a book that is worthy to read. I also rely on books that are made by fellow born-again Christian like me because of course the same principle like tithes and so on applies. This book is written in a taglish form so it is easier to understand. I also love the fact that the authors gave beautiful and reliable examples in pointing out their views about a topic. 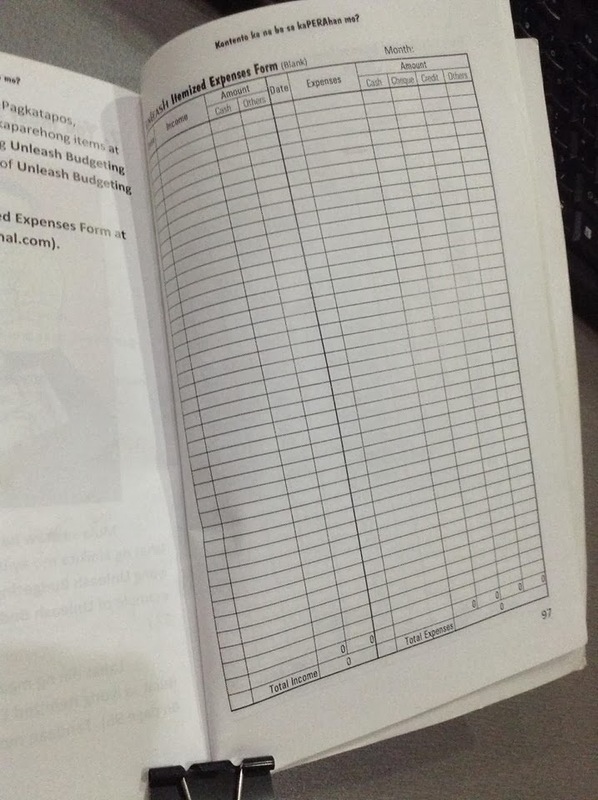 Also included in the book are sample forms for budgeting, income and expenses and so on that are helpful for the readers. The authors are also able to share stories like the Two Kinds of Old Age and the Kurot Principle that I find amazingly written. I also find the ability of the author to add humor to the book very good. This book is only limited to personal budgeting and finding out how you can manage your income well. It does not give points and information about investment and how to actually grow your money. This is a nice start up book for those who are still beginning their journey towards financial freedom. 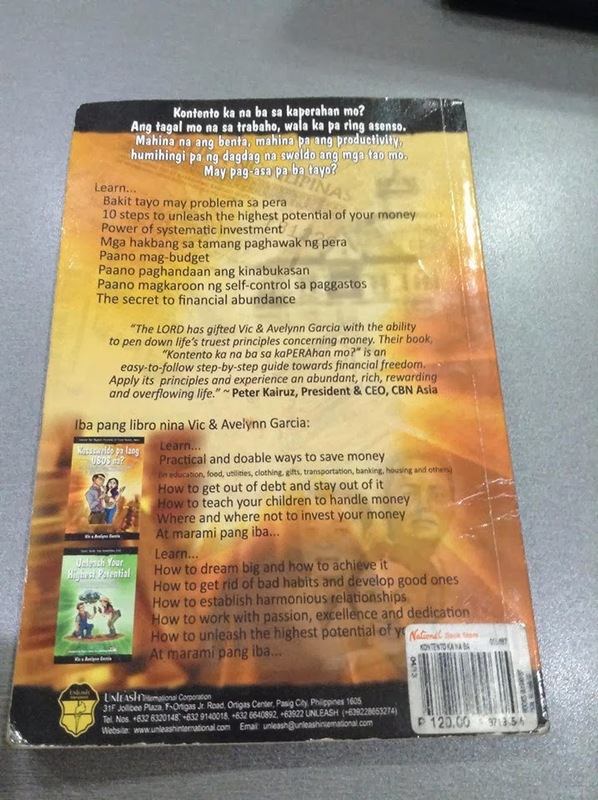 You can buy this book in National Bookstore nationwide.